Whenever competitive, A-type personalities get together and fish for money and glory in a big billfish tournament, the atmosphere surrounding the event borders on electric. 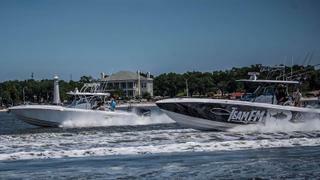 The sight of dozens, sometimes hundreds, of big-game sport boats lined up for a Bimini start and the roar of the diesels as the start-fishing flare arcs across the sky could send a chill up a dead mackerel’s spine. While most participants fish to win, few will, though the thrill of fishing against some of the best in world, and the fun times — both at sea and on the dock — keep participants coming back for more. Big money billfishing tournaments continue to thrive in some of the best fishing holes in the world, so even if you don’t come away with a win, you usually get to fish in one of the world’s best places at the peak of the season — the tournament and its competitive setting just bring an added incentive. Without a doubt, the premier big game fishing event on the West Coast is the Bisbee Black and Blue, held every October in beautiful and exotic Cabo San Lucas, Mexico. Big fish of every species live in this unique place where the desert meets the convergence of two seas and these big fish mean big crowds and big payouts. In 2016, 121 boats competed for $3,511,900 in prize money. Julio Fernandez and his Quiteña Team claimed the lion’s share, a $2,183,000 payout, after besting the largest fish of the week, a 534-pound black marlin. 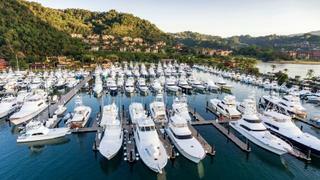 The Los Suenos Signature Triple Crown takes place over three separate events in the spring in one of the hottest billfish spots on the planet, Costa Rica. 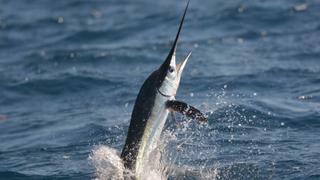 In one three-day period, participants in the inaugural event scored 5,078 billfish releases in nine days. Since then the tournaments have set and broken single day and tournament release marks several times over. These tournaments are all-release with points scored for both sailfish and marlin releases. The blue marlin fishery in the Gulf Of Mexico is probably the most underrated in the world. 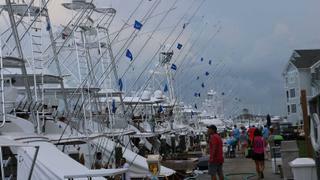 While tournaments here require overnighting out on the fishing grounds due to the long runs to blue water and the fish-attracting oil rigs, they draw huge crowds on weigh day and the Mississippi Gulf Coast Billfish Classic in Biloxi, Mississippi draws some of the largest. It’s not only the crowds that are big. 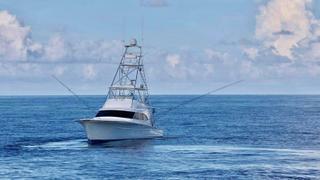 The MGCBC is home to the Gulf of Mexico 1,054.6 pound blue marlin record. This prestigious Gulf Coast tournament, going on its 22nd, expects to give away a more than $2 million prize purse in 2018. It doesn’t hurt that tournament headquarters is in the Golden Nugget Casino. The Big Rock kicks off the blue marlin season on the East Coast with its early June start, and they have been doing that for some time. 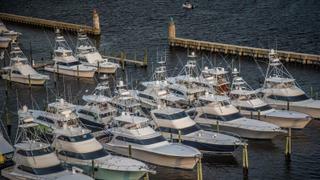 The tournament originated as a publicity stunt in 1957 put on by a local fishing club to get charter boats to venture farther out and catch a blue marlin. Few tournaments can boast a 59-year run, but with good fishing, ever-increasing tournament prizes and one of the most supportive local communities I’ve ever seen, you’ll probably seeing Big Rock tournaments for 60 more years. This year’s winner, Run-Off, scored a tournament record $1,161,450 purse by catching a 533.8 pound blue marlin on the first day of fishing. Started by former owner of the Dallas Cowboy American football team Tex Schramm more than 33 years ago, the World Cup Blue Marlin tournament is a one-day event held in hot spots all over the world on the Fourth of July. There’s no second place in this event with all of the prize money going to the single heaviest blue marlin caught during tournament hours. Teams in Kona and Bermuda have dominated this event for years, but this year’s winner Done Deal, caught the winning 600-pound blue while fishing out of Venice, Louisiana. That fished earned the team a cool $1 million payout. Few tournament locales provide a legitimate chance of catching a 1,000-pound blue marlin, however, Bermuda represents the lone exception to that rule. Sure, grander blues have been caught in tournaments before, but Bermuda leads the pack with a number of weighed blue marlin exceeding the magical 1,000-pound mark. The Bermuda Big Game Classic represents the second leg of the Bermuda Triple Crown and takes place smack dab in the middle of prime blue marlin season. Big cash prizes, one of the world’s most beautiful venues and an awesome big blue marlin bite makes the trip over a no-brainer. Heralded by many as the “largest and richest” marlin tournament in the world, it’s hard to argue with the numbers that this tournament puts up! 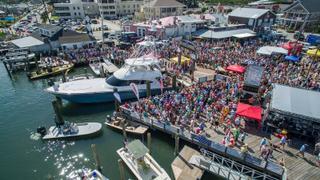 Just this past August during the 44th Annual White Marlin Open, 353 boats and almost 3,000 anglers and crew showed up in Ocean City, Maryland to compete for $4.97 million dollars in prize money. If you can catch a white marlin weighing close to just 90 pounds you could win close to $2 million. The WMO was the first tournament to ever award a $1million prize for a single fish. Most of the people you meet from North Carolina tend to be friendly, polite and eager to lend a helping hand. The Pirate's Cove tournament takes its cue from the locals in the heart of the boat-building community of Manteo, North Carolina, running a family-friendly, yet fiercely competitive tournament that’s big on food, fun and fellowship. 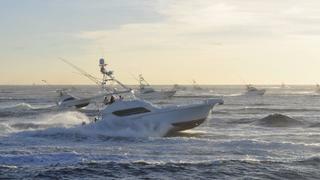 A collection of 79 different teams fought it out this year in the rich offshore waters of the Outer Banks, making the Pirate's Cove event one of the largest billfish tournaments on the East Coast. 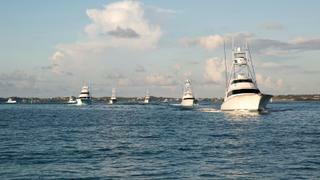 Lots of white marlin and plenty of big blue ones make this event a true test for your team’s offshore skills. One of the longest running billfish tournaments in the world, The San Juan International Billfish Tournament is also the most prestigious, least expensive and easiest tournament on this list to fish. A single angler can show up and hop from boat to boat during the event fishing his rod for a very affordable entry fee. Themed tournament parties each night make this a truly special event. With anglers chasing enormous black marlin in excess of 1,000 pounds on 130-pound test tackle, it’s often said of the black marlin fishery off the coast of Far Northern Queensland Australia represents the major leagues of big game sportfishing. 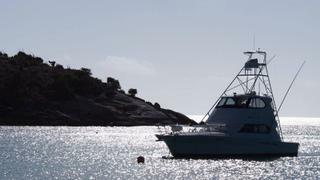 If so, fishing in the Lizard Island Black Marlin Classic is like playing in the World Series. The world’s best gather here every October to see who can tag the most giant black marlin, and it just so happens to take place in one of the most breathtakingly beautiful locations on the face of the Earth. 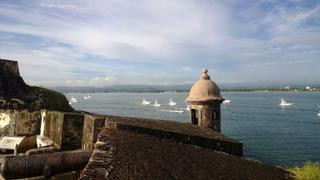 The island’s lagoon is like a tropical fish bowl — a real must-visit.